Jinka is the largest city in south of Omo vally, in southwest Ethiopia. Jinka Zonal Hospital was built in 1993. The Norwegian Lutheran Missionary (NLM.no) is in charge of running the surgical and obstetric ward. 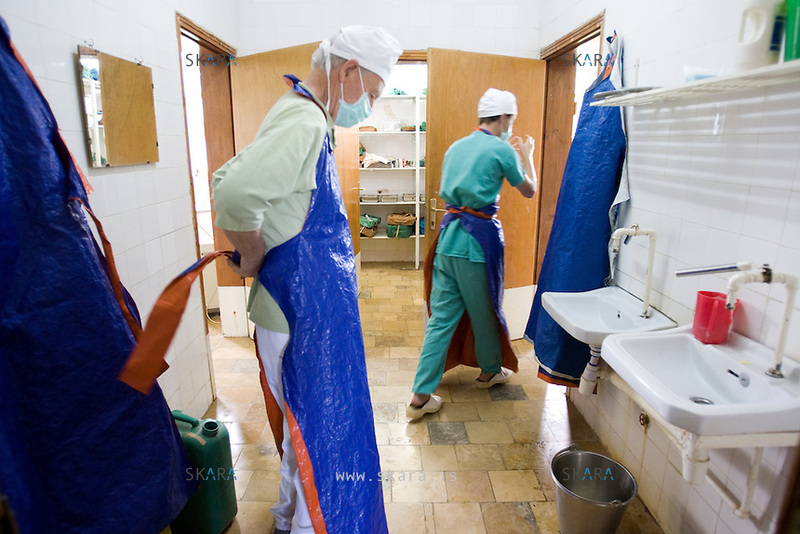 The next hospital is in Arba Minch, 300km away from Jinka. Jinka is about 900km away from the capital, Addis Ababa, and it takes two days to drive. Sverrir Olafsson is an Icelandic/Norwegian doctor that was the only surgical doctors for a few months. His father Johannes, a retired doctor, came to visit and helped him during some of the operations.